(June 21, 2014) Typically I’m all about suffering fools gladly because I am so wise. Today, not so much. Well, not so much the suffering fools part I mean. Of course I’m still wise. That’s why you read my blog right? The Phil Factor: Where Wisdom Gets Drunk and Let’s Its Hair Down. Here are two people that I hate with the white hot intensity of a thousand suns. This entry was posted in Humor, Throwback Thursdays, Uncategorized and tagged check writers, humor, no ice guy, The Phil Factor, Throwback Thursdays. Bookmark the permalink. Oh, I got one!! When people are making a turn at an intersection and they wait until there’s about 6 car lengths between them and the car in front of them before they turn…by the time they do, the light is red again. I have to take time out from my car dancing to yell “Come on already, buddy!! !” Oh…so frustrating. I don’t go to deli counters much so I’ll need the advice from your post. I have to say you pulled out two of my pet peeves. I agree with you to the point that I wish flogging was legal. how about a grumpy old man at the deli counter ordering lunch meat in ounces. I was behind that guy yesterday, phew took forever. 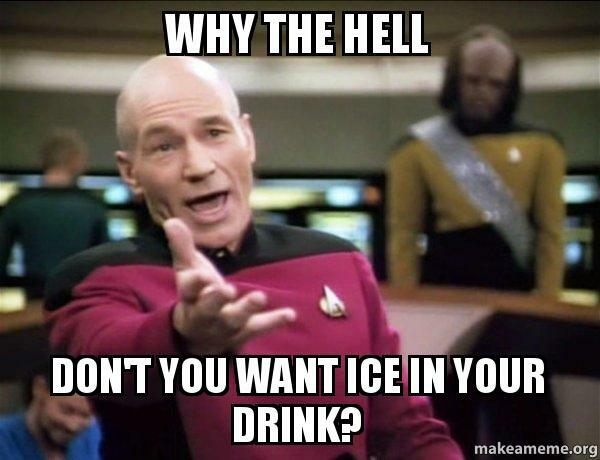 I don’t like ice in my drink because usually soda is cold enough just coming out of the machine. I am not a huge fan of cold beverages, with the exception of milk shakes. I agree that soda is cold enough coming out of the machine. The should/food rhyme was awesome! 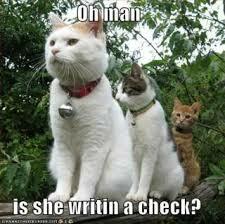 The check writer people kill me. Or the people who don’t say ‘thank you’ when you hold the door open for them, they just pretend you’re their personal doorman and keep walking. At least give me a tip if you’re going to ignore me, jerk. Time to stop. My froth overfloweth. Oh, the check writers….yes, agree on that and the no-ice guy too. Very good choices. I am sure I can come up with a few more but I don’t want to fill up your comments section! LOL. What about people who buy pre-made packets of ice in the supermarket and pay with checks? Those are the worst humans ever.